If you’ve ever watched with envy as the tire shop changes your tires with ease, then you’ll be excited to know that you can buy a powerful impact wrench without investing in an expensive air compressor. Cordless impact wrenches make short work of lug nuts and frozen bolts. They transport easily and make mobile repairs a snap. Heck, not too long ago, I even used mine to drive a lag bolt into a 4×6 beam so I could hang my heavy bag. Farmers, oil riggers, steelworkers, tow truck operators and every owner of a dually truck needs one of these. At Tool Tally, I make it easy to get the right one. Most online blogs intermix these terms, often reviewing different types of tools in the same writeup. 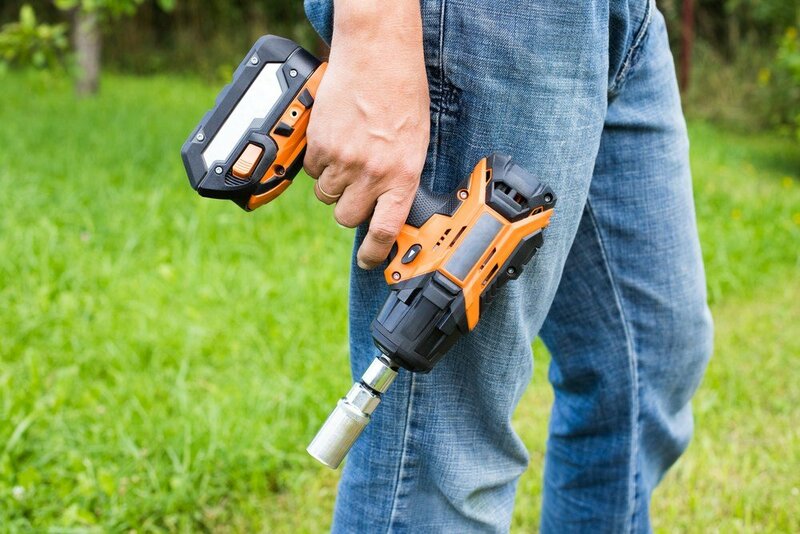 Cordless Impact Wrench: These are an electric cordless version of the pneumatic wrenches. Some shops use them to replace their pneumatic wrenches. They have square drives called “anvils” for holding sockets. Cordless Impact Drivers: These are construction site drills with internal impact hammers for drilling through thick wood. They have a chuck for holding drill bits. The Milwaukee M18 Fuel Impact Wrench has always been a leader in the cordless impact wrench niche. Their 2763 has been an industry leader and one of the favorite tools of road crews everywhere. It’s the tool folks rely on when their lives depend on it. Equipped with a brushless motor just like the Dewalt below, this wrench is the ultimate in efficiency. It outpaces the Dewalt with the ability to deliver up to 1,000 foot-pounds of torque. For those stubborn or seized bolts, you are bringing 1,400 foot-pounds of reverse breakaway torque to the party. 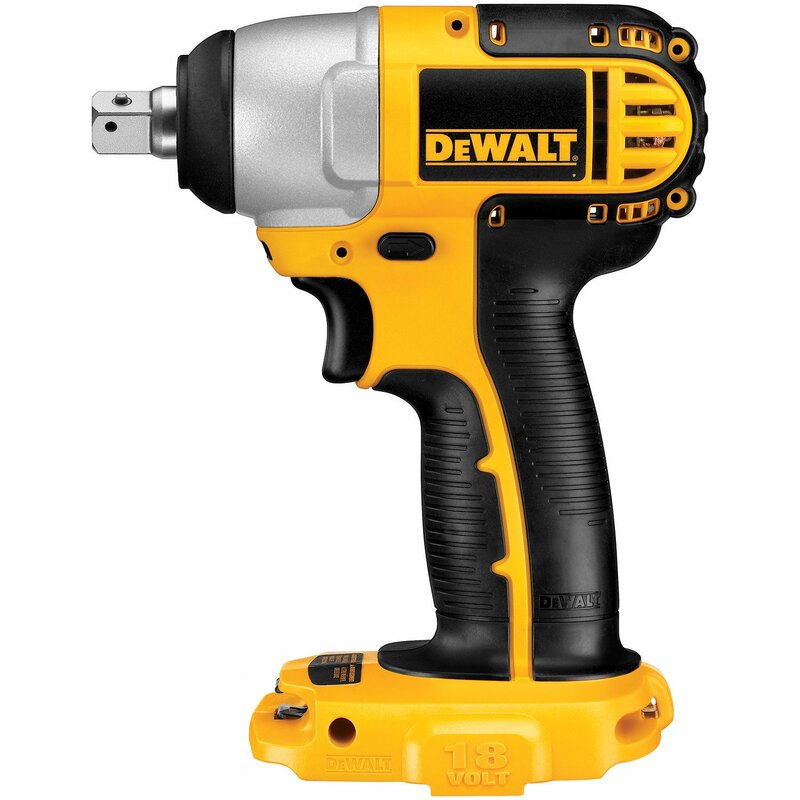 There are rumors of this drill loosening bolts that the 3/4-inch air impact wrench couldn’t get loose. It’s faster than the other cordless tools but seems a little slower than the air tools. The Milwaukee offers more control. There are four drive options on the drill, with one of those being the ability to slow down to 750 RPMs once a nut has been broken loose. With more drive options, you have more control and finesses to prevent stripping threads. It also has an LED light for more natural visibility and faster bolt acquisition when trying to use it in the dark or poor lighting conditions. The five-year limited warranty seals the deal for me on this tool. I’m a Dewalt fan, and pretty much only have Dewalt tools around the house (It’s what Grandpa used, you know how that goes). But this Milwaukee is the blueprint of what every cordless tool should be. Can break lug nuts. Respect the power and start with the lowest setting on most applications. 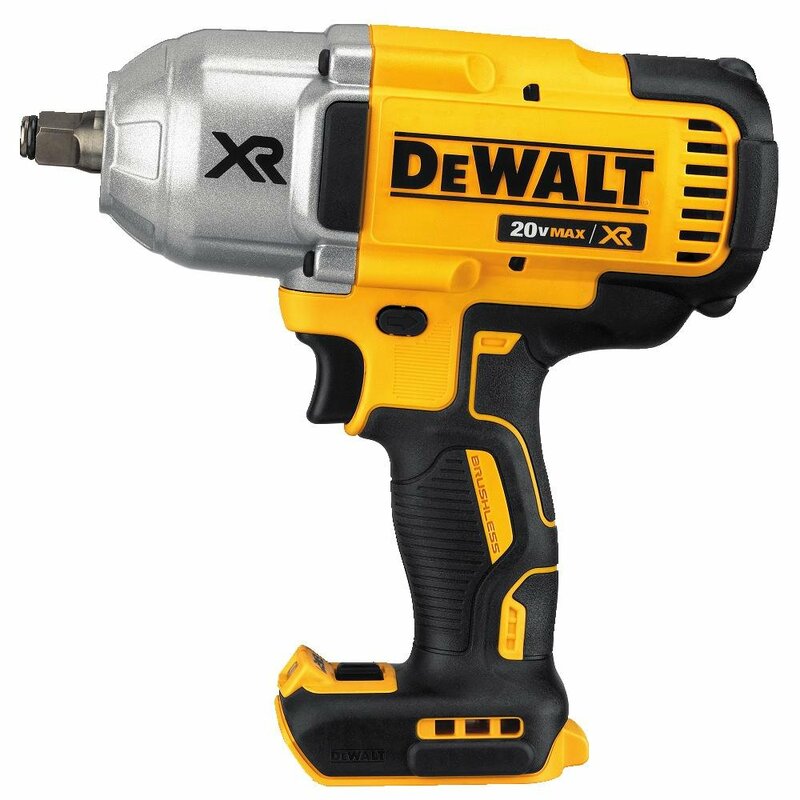 DeWalt is perhaps the most popular brand when it comes to power tools. The Dewalt DCF899 1/2-Inch Best Cordless Impact Wrench Kit stands true to its reputation by providing you with high-quality performance. The machine is fast and versatile and is perfect for a wide variety of high-paced work environments. What’s unique about this impact driver is that it comes with an LED work light which means you can easily use it in dusk and dark conditions. The LED light has a 20 second delay time, allowing you to use it as a flashlight after you release the trigger. The brushless motor delivers superior performance. The main advantage of a brushless motor is that it provides much more power since no energy is lost to friction. As a bonus, you also don’t have to replace worn out brushes. The DEWALT DCF899P1 can easily deliver a max torque of up to 700 ft./lbs. For those challenging situations, the breakaway torque (when in reverse) is about 1200 ft./lbs, which is quite sufficient for most applications. This puts the tool on par with many of the pneumatic impact wrenches. What I loved about the DeWalt 20v MAX Driver is that it is easy to control. The ease of control comes from the 3-speed selector which allows you to control the speed according to the application. You can select either 0 (off), 400, 1200, or 1900 RPMs. What’s more, the tool is cordless which makes it easy to maneuver without worrying about the hassles of wires. For the Farmer and the tow truck operator who needs the best cordless impact wrench that they can take anywhere, this is the perfect way to go. Some might argue that this tool should be at least number 2 on my list. I won’t dispute that. But it’s my list, and this is my third favorite cordless impact wrench. 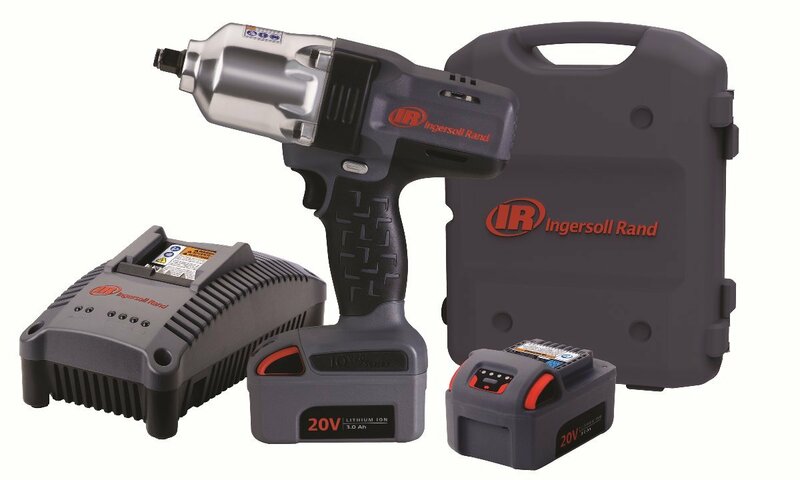 For those of you who have never heard of the Ingersoll Rand name, this company is one of the top manufacturers of air impact wrenches. They are also one of the oldest. It only makes sense that they should offer a cordless electric version. The W7150-K2 is designed to go toe-to-toe with their professional level TiMax 2135 air impact gun. With 1,100 foot-pounds of breakaway (reverse) torque, this one should be able to even remove harmonic balancers and bolts on your ATV shocks (those things are always hard to get off, it seems). It offers 780-foot pounds of tightening torque, which is more than most applications need. The trigger is variable speed so you have the fine control you need to keep from breaking bolts. The Electric brake stops the anvil immediately after you stop pulling the trigger. The lightweight aluminum case keeps the tool just under 7 pounds, and the added shock absorbers inside help quiet the motor to lower user fatigue. The motor is brushless and uses neodymium magnets to achieve the ultimate in efficiency (neodymium is typically used in windmills and other energy-efficient motor applications). If you go with the 5 amp hour battery, it seems to have plenty of life for all-day use. 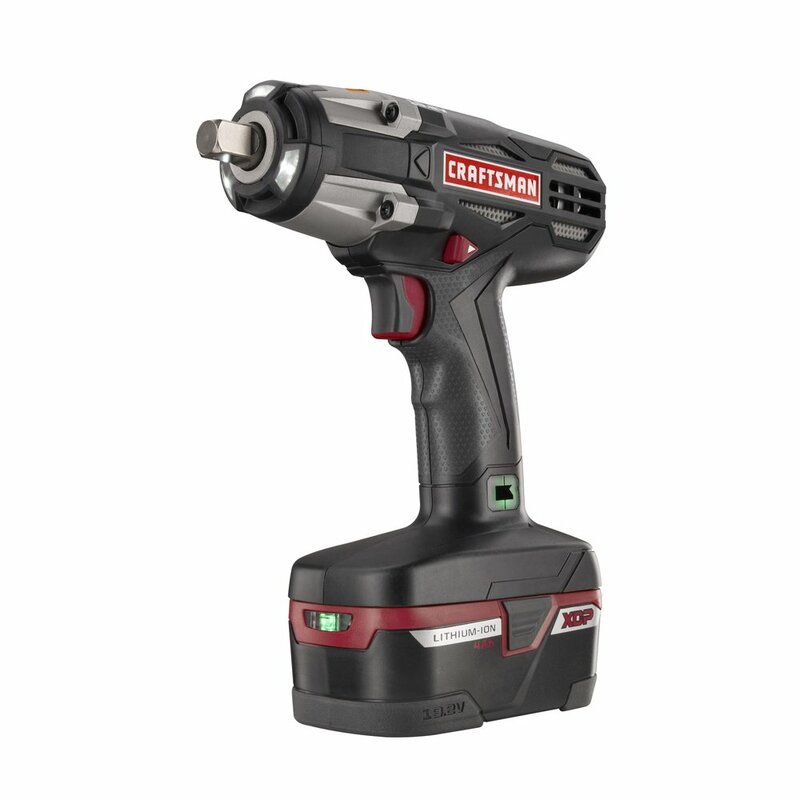 For shipbuilding, railways, heavy equipment repairs and the tow truck driver who likes having too much power at all times, this is the cordless impact wrench to get. This is also the best cordless impact wrench for those who are looking for the closest replacement to a pneumatic impact wrench. This list wouldn’t be complete without Makita. They hold such a solid place in the industry that it is always neck-and-neck between Makita, Milwaukee, and Dewalt. (Let’s be honest, most folks buy their favorite brand). 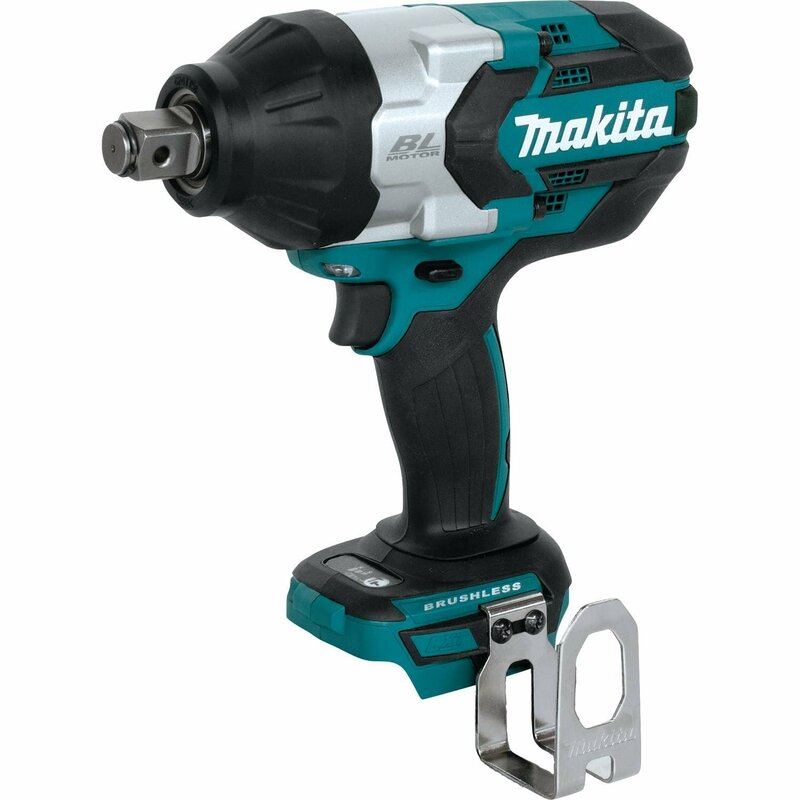 In typical Makita fashion, they bring 740-foot pounds of torque to the party and offer an impressive 1,180 foot-pounds of maximum torque for breaking frozen nuts. This drill means business whether you are taking apart an engine block or swapping brakes. There are three, speed settings to give you more control. You’ll spend most of your time in the lowest setting. Makita makes one of the only 3/4 inch cordless guns. This 1/2 inch is more suited for most of our readers who are just removing their engine mounts and saving maidens on the side of the highway. The 3/4 inch is a handy upgrade if for those oilfield workers and heavy-duty truck operators. The brushless impact motor, like the first four on this list, leave fewer carbon deposits, seem to last longer and offer a more efficient, frictionless motor. Makita has a 30-day money-back guarantee and a three-year warranty that makes their tools every bit as trusted as the competition. China makes most of the tools on this list. I think this is the only one that is made in Japan. If you drive a Honda or a Toyota, this is the one for you. Like I said at the top of the review, this one could go toe-to-toe with the Dewalt. 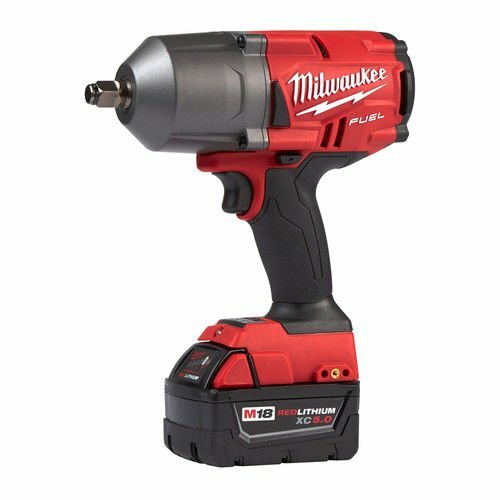 The Milwaukee is still my first pick because it offers the most control over torque levels. However, the Dewalt cordless and the Makita cordless are pretty similar for doing mobile mechanic repairs. The Ingersoll-Rand is best for those shop situations where the tool is likely also to get dropped a lot and needs to run for extended periods. At the time I’m writing this in early 2019, Craftsman is still around, run by Stanley Black and Decker and sold at Lowes. TSince I was a young kid, I’d listen in awe at how well Craftsman honored their lifetime warranty, as the men stood around the feed store swapping stories on the craziest thing they’d seen Craftsman cover under their warranty. That is one reason why this tool is appearing so high on my list. I’ve invested most of my money in Craftsman tools. They seem to be the perfect balance between made overseas and quality. With 300 foot-pounds of Torque, this tool brings as much strength to the game as the other guys. It uses a 19-volt battery with 4 amp hours to provide more than enough power for most of the tasks you’d set this tool on. One of the unique superpowers of this tool is that it can operate in temperatures as low as 5 degrees Fahrenheit. This makes it a top choice for those of you who often work in inclement weather. It also brings 3,000 blows per minute (or impacts per minute [IPM]) to every task, making this one of the faster tools for working on stuck bolts. It doesn’t have the speed settings of the other tools, so use short bursts when putting the lug nuts back on to keep from over-tightening them. Similar to the Porter Cable below, this one is a little longer than I’d like. However for a cheap cordless impact wrench, this an excellent tool that is hard to beat. It’s also lighter than most of the others in its class. And, my understanding is, getting a warranty repair is as easy as taking the tool and a receipt into your nearest Lowes. I like Porter Cable. Their tools are affordable and backed by a good warranty (in this case, a 3-year limited warranty). Their batteries have always lasted well for me. They seem to hold a charge well even after years of recharging them. This impact wrench comes to the table with 300-foot pounds of torque. That should be enough to remove lug nuts on most SUVs and light-duty trucks. If you have a bolt that has been overly-tightened, this impact gun might struggle. Operating at 1650 RPMs, the variable speed trigger makes it easy to adjust the input to get the right speed for your task. This tool is designed for use in automotive applications and has been coated in a chemical resistant solution to protect the tool as it rattles around in your greasy toolbox. My biggest complaint is how long and bulky the head is. It’s a great tool for lug nut removal — and that is what most folks buy it for. But the head makes it too bulky to fit into tight spaces. It also the LED lights for those late night tire changes. This is a favorite personal tool of Tow truck drivers and off-road four-wheel drive fanatics. If your budget likes this wrench, get it. But also buy a breaker bar, just in case. May lack power for some scenarios. I’ve got to say that I’m in a pretty little toss up between the Ryobi P1833 and the Porter Cable. Both offer about 300 foot-pounds of torque. 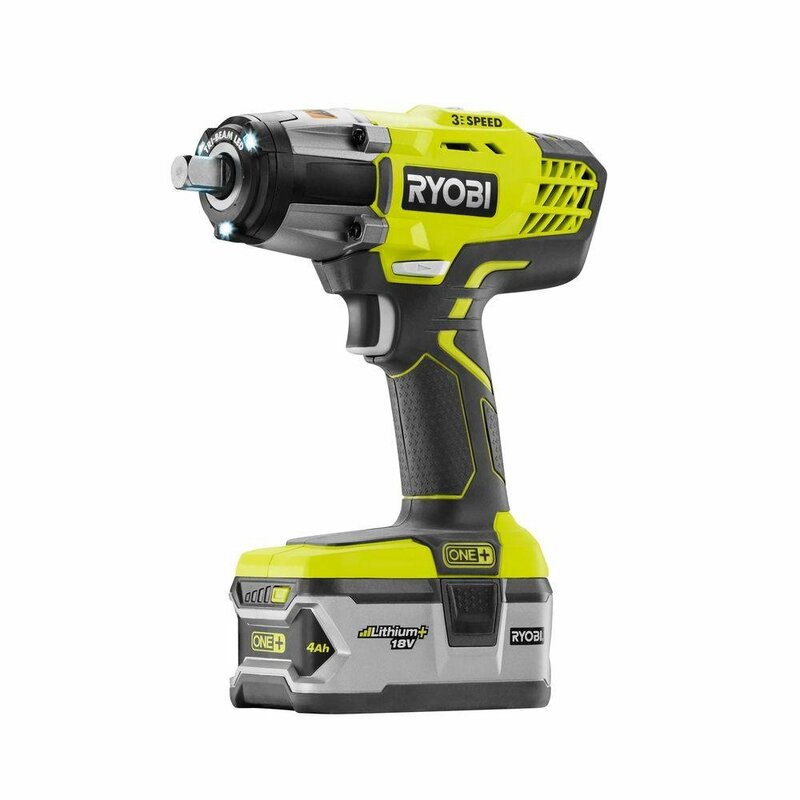 The Ryobi offers a 3-speed selector and the Porter Cable has a variable speed trigger. So both tools offer quite a bit of control. They both use 18-volt batteries, and the Ryobi’s battery life is pretty legendary. Also, the Ryobi has a shorter head, which makes it easier to maneuver for different tasks. For me, it comes down to the Warranty. Porter Cable has a better warranty with a 90-day money back guarantee and up to 3 years on their limited warranty. Ostensibly, the Ryobi also offers a 3-year warranty, but if you are using it for commercial purposes, they strip that warranty down to 30 days. I don’t mean to read too much into that, but that makes me doubt Ryobi’s trust in their craftsmanship. So, for around the house, the Ryobi is a sweet tool. This is a fun little tool. At 1,740 inch pounds of torque, it brings about 145 foot-pounds of torque to the game. This is perfect for tightening lug nuts and for those craftsmen who have a lot of small bolts they need to tighten and loosen. There is no way that plumber wants to lug a 6-pound impact wrench around with them on a job site. At only three pounds, this tool makes short work of lawn mower blade changes and other smaller nut driving applications. It is too light of a tool for loosening tire lug nuts or most tasks that you would associate with an impact wrench. So I think a better name for this tool would be “socket driver” for nuts and bolts you’d need to tighten on a job site. 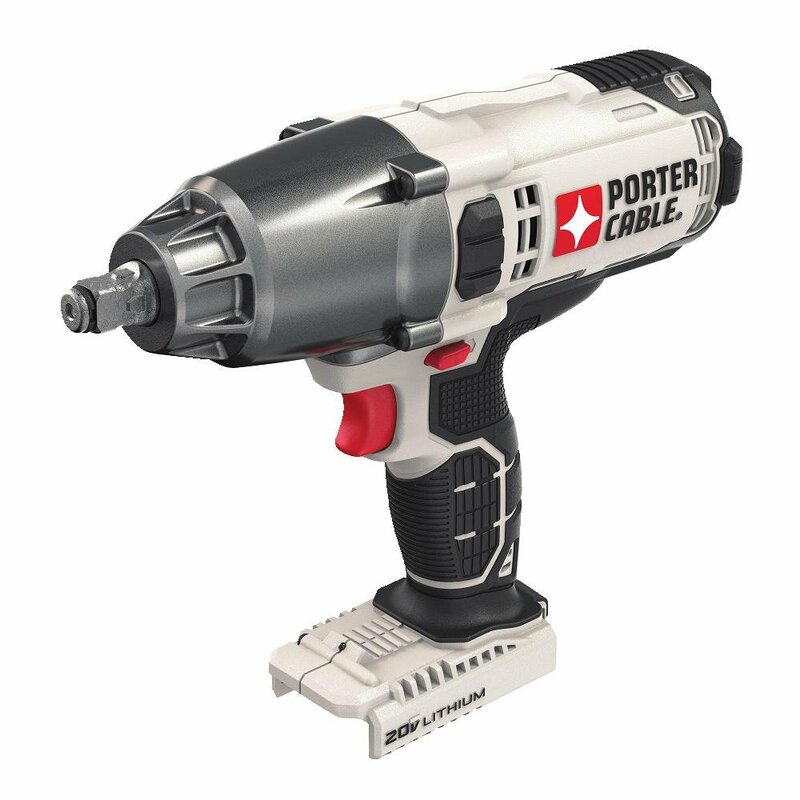 If you find yourself wishing for a cordless ratchet, but want a little more power, this is an excellent option. There are many, excellent cordless impact drills to choose from. 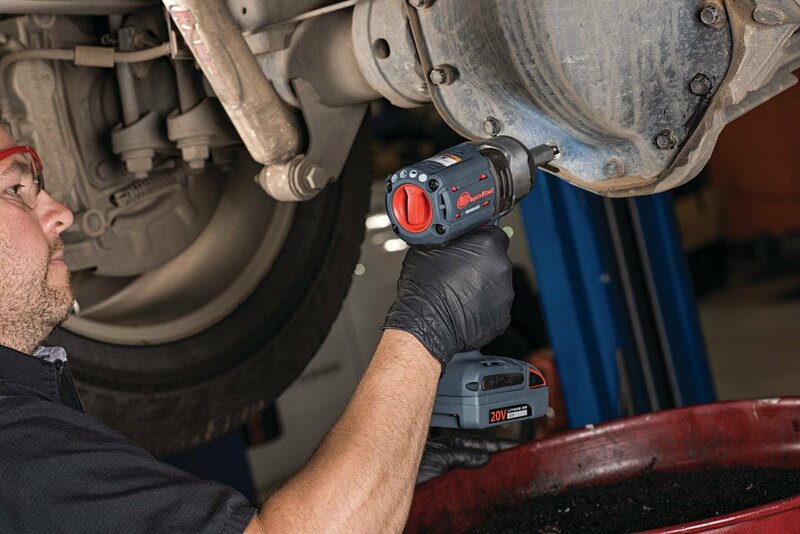 The Milwaukee Tool 2767-22 has the most drive control options, making it the best choice for the shop where you don’t want your employees screwing up customer’s vehicles. They even have an upgraded version that lets you set the correct torque from your cell phone. Cool, eh? The Makita and Dewalt are neck and neck for those wanting a great impact wrench to carry around in their work truck and from job site to job site. And, finally, the Ingersoll Rand is in a class of its own. Perfect for the Diesel mechanic, the steelworker, and the shipbuilder, this tool is overkill for most applications but is designed to build countries with it’s rugged, tank-like design features. Do I Need Special Sockets Or Extensions? It is important to only use impact-rated sockets. Normal “chrome” sockets will shatter when used on an impact gun. Additionally, the normal sockets may fit too tightly and be difficult to get on and off. If you don’t have them already, invest in a set of impact sockets. The “Anvil” is the square part that your sockets attach to. There are different mechanisms for securing your sockets to them. Pin Detent – This is the most popular option and involves a small ball that holds the socket on. Sometimes it is called Ball Detent. Depending on the quality of construction, these can be difficult to get the socket to release from. It’s common to need to depress the ball with a nail or pry the socket off with a screwdriver. Friction Ring – I prefer this setup, when possible. This is a small ring on the nose of the drill that provides just enough prevent the socket from coming off. This is sometimes called a “hog ring”. It’s a slightly less secure socket hold, but oh so much easier to work with. In my opinion, they all work equally well, with the exception that you’d rarely see Pin Detent system on high-torque tools. What Size Air Compressor Do You Need for an Impact Wrench? It’s not the size you should worry about rather the PSI and CFM on the compressor should be your main focus. Each wrench has different requirements. Check with the manufacturers about what CFM and what pressure does the tool require to operate. We highly recommend that you choose an air compressor that delivers at least 1.5 times more CFM than your tool requires. This will ensure that you are never underpowered. For example, if an impact wrench requires about 5 CFM at 90 PSI, then your compressor should be able to deliver about 6.25–7.5 CFM at the same pressure. And let’s not forget that you might need to use multiple tools with the compressor. We suggest you check the ratings of all tools and then decide which one you need. Once you’ve carefully narrowed down your options to the appropriate CFM and PSI, we recommend you check out the size. A larger sized tank will be able to maintain a higher CFM for a longer time. However, if you only plan to use the tool intermittently, then you can save money and go for a smaller size. Batteries might be the slowest developing piece of technology. Many power tools still use Nickel Cadmium batteries. Ni-Cad batteries were invented in 1910 and were brought to the US around 1946. While the technology has improved, it is, basically, the same battery that was used when Truman was president. Lithium-ion is the new standard. Most of the high-end tools will use a Li-Ion battery. It’s worth the upgrade. These batteries last longer, hold a charge better, and deliver more consistent power with less power drop as the battery is depleted. Without getting too technical, Voltage is the amount of power that flows from the battery. Most tools use somewhere between 18 to 20 volts. Dewalt advertises a new 60-volt battery that is 3, 20-volt batteries tied together to allow longer use. Amp Hours is the amount of run time the battery has while using it. 1 Amp hour means that the battery can deliver 1 amp of work for 1 hour. Most of these impact drills will have at least 4 amp hour batteries. These tools need hefty motors and large hammers to deliver a forceful impact. As you would expect, the stronger the tool, the heavier it is. Ingersoll-Rand, for example, further hardens their tools against drops. All of this strengthening requires more weight. The working man wants the lightest tool possible. With the battery pack, most of these tools are going to be at least 8 pounds. This is the ultimate measurement. Torque is the amount of turning force a tool supplies. One tool might have higher RPMS and a higher IPM (impact per minute), that enables that tool to work more quickly. However, two tools with the same torque rating should be able to, within seconds of each other, accomplish a task of similar difficulty. For most tasks such as changing a car tire or removing an Axle, you will need about 300 to 600 foot-pounds. Removing the crankshaft of an engine requires closer to 1,100 foot-pounds (I should know). RPMS are how fast a tool turns. In my opinion, all of these drills are going to move plenty fast. It is unlikely that a wrench with 7,000 RPMS is going to be that much better than one with 3,000 RPMs. IPMs is the number of times the hammer inside the drill strikes the anvil every minute. This number does seem to help speed your tasks. The more hits that the drill delivers, the faster it can jar a stuck bolt loose. The high-end models we review all use brushless motors. Brushless motors operate within an electromagnetic field and have much less friction, enabling the parts to last longer without wearing out. These motors also tend to be more efficient. As we go down in price — around the level of the Craftsman Heavy Duty — we begin seeing most tools using a motor with Brushes. These brushed motors are similar to the Nickel Cadmium battery. They’ve been around forever, and are a reliable design. The consensus is that these tools can do most of the same tasks that are performed by air impact wrenches. However, when compared side by side these cordless drills seem to take a little longer to complete the same task. (We’re talking a few seconds’ difference). Pneumatic wrenches do have the ability to produce over 2,000 foot-pounds of torque. There are not currently any cordless impact drills that offer that amount of power. The best cordless Impact wrenches offer the ultimate in mobility without forcing you to compromise on power. You can throw them in your Jeep and drive to the far-off reaches of the desert. For the homeowner who doesn’t want to invest in the Air compressor kit needed for pneumatic tools, these are an excellent option. Unlike their pneumatic brothers, these wrenches are fully enclosed, removing the need to maintain their internal parts. The best cordless impact wrench should never require internal maintenance. Mechanics will “mechanic”, however, and I have seen these tools taken apart and regreased or re-soldered. It is not recommended to take the tool apart until you are sure that your warranty won’t fix it as tinkering with the tool’s innards can void the warranty. The battery is the only part likely to fail. Keep the connections clean and avoid putting the batteries in extremely hot environments. Does This Tool Come With A Battery? If you already own tools of that brand, you may already have a battery that will fit the hightorque impacts you are shopping for. In that case, you only need to purchase the “bare tool” option. However, there is typically also an option that offers a carrying bag and batteries and chargers. Cordless Impact Wrench Versus Cordless Drill? A drill has a chuck for holding drill bits. These wrenches are made to work with sockets. Additionally, these cordless impact wrenches are much more powerful than your standard drill. In theory, they could be used similarly, but they are two very distinct tools. In the example above where I used mine to hang my punching bag, I used a drill to create a starter hole in the lumber and then used the impact wrench to drive the lag bolt in. Will A Cordless Impact Wrench Remove Lug Bolts? This may be the number one use of these tools. 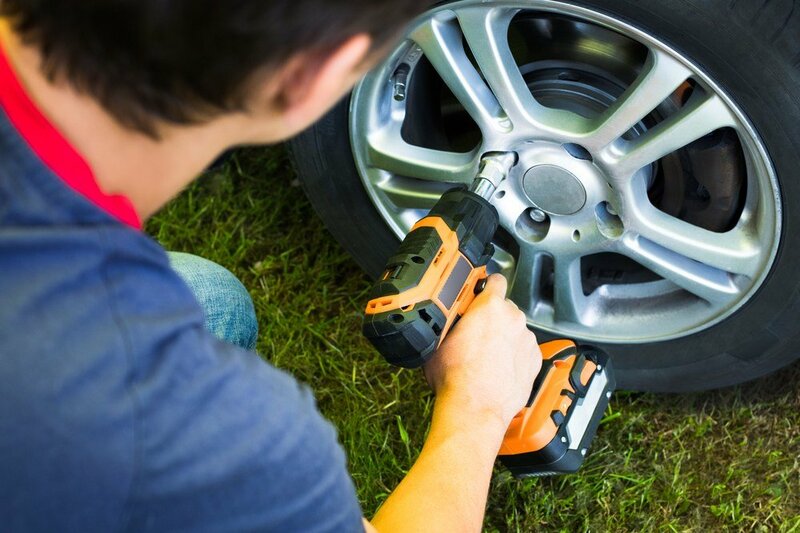 It is surprising how much the best cordless impact wrench will speed the work of removing a wheel. I no longer dread changing my brakes, knowing that I can access them in minutes. Most lug nuts should only be tightened to about 90 ft-lbs. It is simple to overtighten them and even sheer your lug bolt clean off with a powerful impact wrench. It will likely require 150-200 ft-pounds of power to remove a lug bolt depending on how cautious the shop was that installed your tires. Nuts that have frozen in place from pressure or rust may need even more power to remove them.